The Tree of Hopes and Wishes campaign works to bring adult students together over the holidays. This holiday season, Delta Community College is facilitating two initiatives to support those in need in our community and help bring a deeper sense of community to its adult learners. 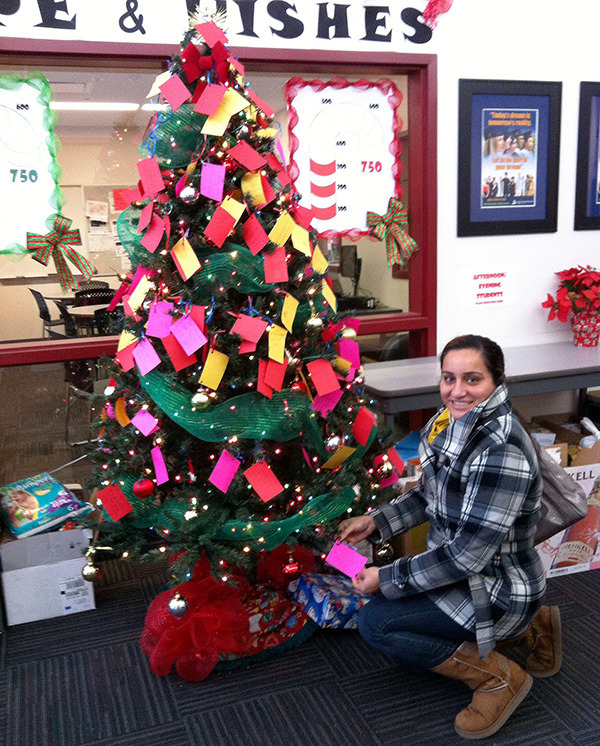 The Tree of Hopes and Wishes campaign works to bring adult students together over the holidays. Messages of hope, love and peace are written by students on colourful gift tags and hung on a tree at the college. “The expression or message could be a wish for the health of a loved one, support for a friend, happiness for their children or hope for peace in their former country,” said Alyson Caouette, administrator at Delta Community College. The college’s student body includes a number of adults from refugee families living in the community, who Caouette said have experienced enough hardship and trauma. In addition to the Hopes and Wishes tree, the college is conducting its annual food drive benefitting Deltassist. Under the Christmas tree adorned with positive messages are dozens of boxes of donated food – much of it donated by students who may have very little in their own cupboards. Caouette added this is the second year the school has partnered with Rotary and they are very grateful for the club’s support. Delta Community College will also be accepting donations from community members before Dec. 16, and non-perishable food items can be dropped off at the college, located at 11590 83rd Ave.